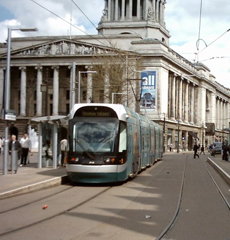 Nottingham is a fantastic place to come and visit, with its wealth of shops, restaurants and bars, complemented in equal measure by historic buildings, museums and beautiful surrounding countryside. It's ideal for both young and old, those wishing for a quiet relaxing weekend away or those seeking a little more adventure. Thorpe house, with it plentiful free parking makes the perfect base to explore the city. Nottingham Ice Arena The Capital FM Arena Nottingham provides the East Midlands with a top quality indoor sports and entertainment venue right in the heart of the £43 million National Ice Centre and in the city’s fashionable Lace Market.With a capacity of 10,000 there is no where quite like The Capital FM Arena Nottingham – but don’t just take our word for it. Ask Sir Elton John, Rod Stewart, Oasis, Bob Dylan, Green Day or Usher – they’re among the long list of artists who’ve played here to sell out crowds.